Identify significant problems in the nursing facility regulatory system and make recommendations for legislation action. 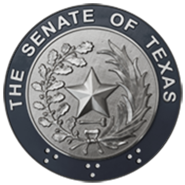 Analyze and monitor the effectiveness and efficiency of the nursing facility regulatory system of texas and make recommendations for any necessary research or legislative action. review specific recommendations for legislation proposed by the Department of Human Services or the attorney General relating to nursing facility rules and regulations and other long-term care issues. Analyze the continuum of care of long term services available to Texans and make recommendations for legislative action.